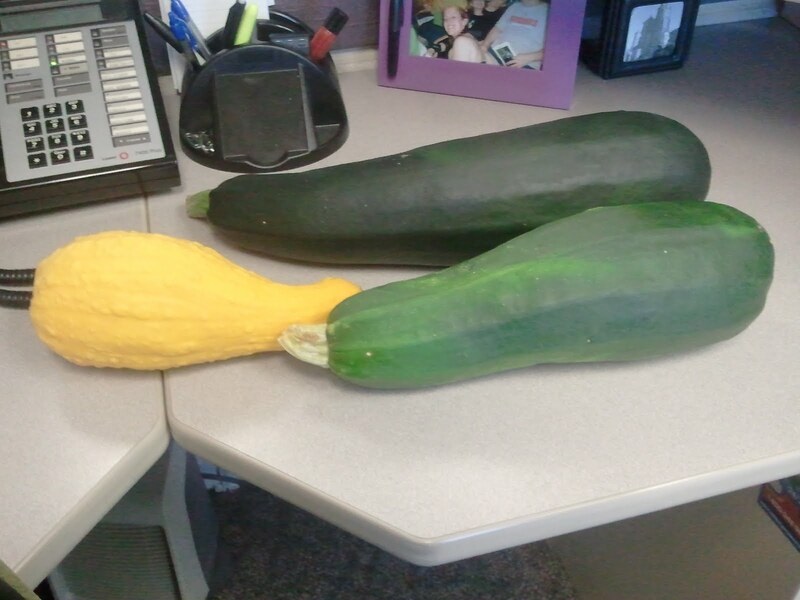 What does a girl do with giant, radioactive squashes? That's what mine look like because I forget to pick them! Lol! I'm gonna make zuchinni bread this week! Why, give them to the person who is most likely to make veggie lasagna out of them, of course!